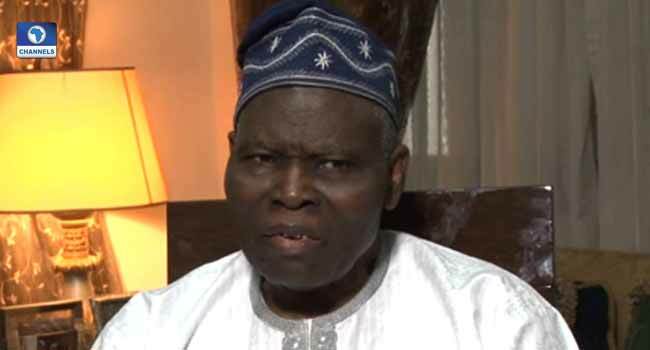 President Muhammadu Buhari has congratulated veteran broadcaster, administrator and Nigeria’s former High Commissioner to the United Kingdom, Dr Christopher Kolade, who turns 85 on December 28, 2017. The Special Adviser to the President on Media and Publicity, Femi Adesina in a statement on Tuesday, December 27 said President Buhari joins celebrates the graceful life of the versatile scholar whose achievements in various undertakings, both in the private and public sector, clearly underscore the power of discipline, focus and integrity. “As he turns 85 years, the President commends Kolade’s many years of contributions to national development as an academic, administrator and a diplomat, especially in continually counselling leaders and mentoring the younger generation,” the statement read in part. President Buhari believes the octogenarian has earned the respect and honour of both the young and old by walking in the fear of God and leading a life of integrity, which are invaluable attributes that he recommends to all Nigerians, especially aspiring leaders.